This sweater is either green or grey, depending on your opinion and the light. 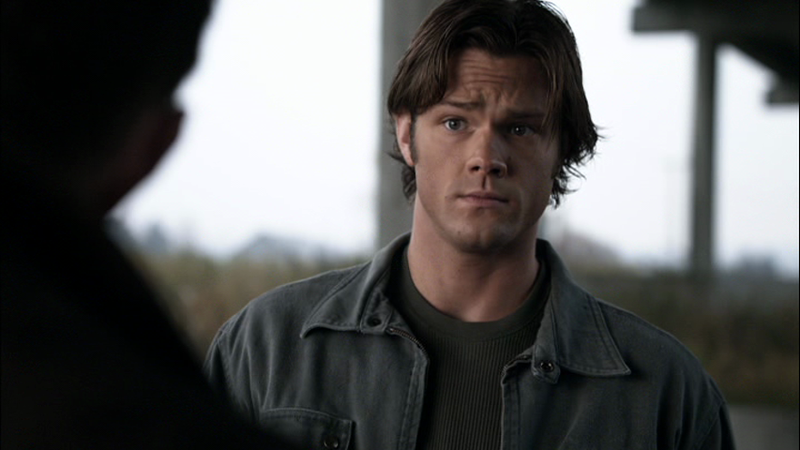 It first appears in Family Remains (4x11), when Sam wears it for the final scene, when Dean admits to enjoying his turn as torturer in Hell. In Jump The Shark (4x19), Sam is wearing it at the beginning of the episode when they get the call from Adam.